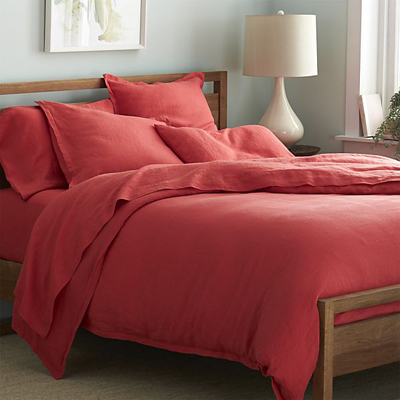 The super soft, washed Lino Coral Linen Bedding in a solid, gorgeous hue spreads the bed in the comforting touch and relaxed, worn-in style of pure linen. $44.95-$289.95. Buy here.